Amid a continuing national economic struggle and the specter of deep cuts proposed in state higher education funding, families of 33 diverse urban student leaders across Washington have new reason for hope and celebration this week. The Act Six Leadership and Scholarship Initiative announced today that 14 Spokane students will join 19 students from the Puget Sound region to receive full-tuition, full-need scholarships to four Washington universities. Gonzaga University, which joined the program two years ago, will welcome its second cadre of eight students. Whitworth University, the first university to join the program in 2002, will welcome its eighth cadre of 10 students. Other participating Washington universities include Pacific Lutheran University and Northwest University. Collectively, the scholarships will provide nearly $5 million in financial aid over four years. The newest Act Six scholars will be recognized in community celebrations in Spokane on Tuesday, Feb. 9, at 7 p.m. at Lewis and Clark High School, and in Seattle on Thursday, Feb. 11, at 7 p.m. at Mount Tahoma High School. The media and public are invited with RSVP. 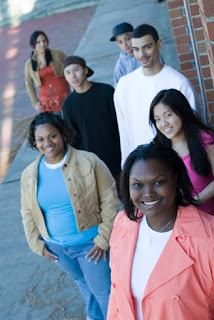 Launched in 2002 by the Northwest Leadership Foundation (NLF) in Tacoma, Act Six seeks to develop urban leaders to be agents of transformation on campus and in their home communities. Since the program's inception, 12 cadres of ethnically diverse and mostly first-generation, low-income Act Six scholars from urban Tacoma, Seattle and Spokane have enrolled at five Washington universities. Recruit and select diverse, multicultural cadres of Washington's most promising emerging urban leaders. Train and prepare these groups of students in the year prior to college, equipping them to support each other, succeed academically, and grow as service-minded leaders and agents of transformation. Send and fund the teams together to select faith-based colleges in Washington on four year, full-tuition, full-need scholarships. Support and inspire by providing strong campus support and ongoing leadership development to nurture these young people as they find their vocation and grow into the next generation of community leaders. To date, 94 percent of the scholars in the first three cadres have graduated. Overall, 92 percent of the 107 scholars originally selected for the program have graduated or are still enrolled – reflecting graduation and retention rates that far exceed national averages. Act Six scholars have been elected student-body presidents two of the past four years at Whitworth and have been involved in numerous other leadership roles on and off campus. "Our scholars are having a profound impact through their leadership on campus, and, as they begin to graduate, we look forward to their impact in the community," says Tim Herron, founder and national director of Act Six. "This is what we envisioned when we launched Act Six and what we are now seeing replicated around the state and nation." Nationally, Act Six initiatives are also active at George Fox University in Newberg, Ore., and Warner Pacific College in Portland, Ore. Following next week's celebrations, scholars begin an intensive seven-month training program that involves weekly meetings with Act Six staff, retreats and campus visits. Learn more about Act Six online at http://www.actsix.org/. Those wishing to attend next week's community celebrations should RSVP with Crystal Ben, Act Six assistant director, at (253) 272-0771 ext. 111 or cben@northwestleaderhip.org. The Northwest Leadership Foundation is a faith-based non-profit headquartered in Tacoma, Wash. Since 1989, the foundation has worked to move individuals and organizations from good intentions to effective outcomes in its effort to encourage, strengthen and develop leadership for the spiritual and social renewal of the city. (253) 272-0771 ext.109 or therron@northwestleadership.org. Raymond Reyes, associate mission vice president for intercultural relations at Gonzaga University, (509) 313-3667 or reyes@gu.gonzaga.edu.